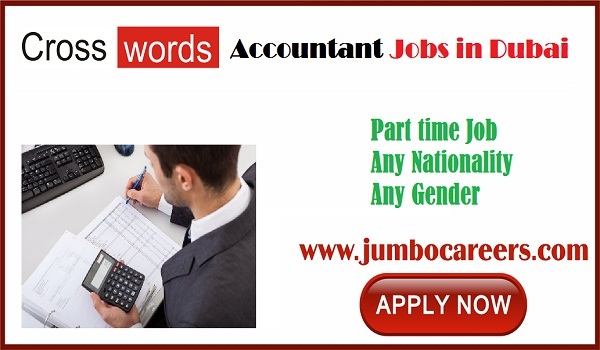 Crosswords General Trading LLC Dubai hiring part time accountants. About the Company : In the fast moving world, where the pace of change is accelerating, Crosswords General Trading LLC enhances its vision to increase the penetration of Crosswords from West Africa to cover entire African countries and UAE. Being recognized for the customized product delivery, as per the particular corporate or industry, Crosswords Dubai is the global trading organization that increases the efficiency and effectiveness through the best in class furniture, state of the art communication and electronic devices, cost-effective solutions to security and network for the workplace or home.